Discussion in '2014 - Construction Equipment Expo' started by Jerry Christiansen, Apr 17, 2014. 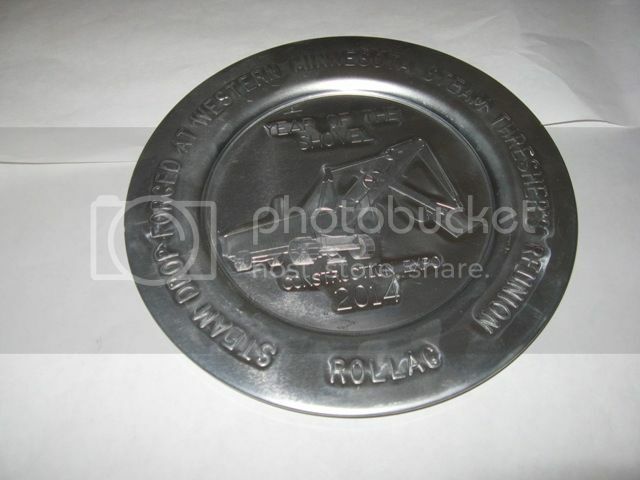 As of 17 April 2014 the die for this year's sovereign plate is ready and a few test plates have been made. Ron R (our tool and die man that makes the dies) and I met at Larson Welding to do a final fit of the die. 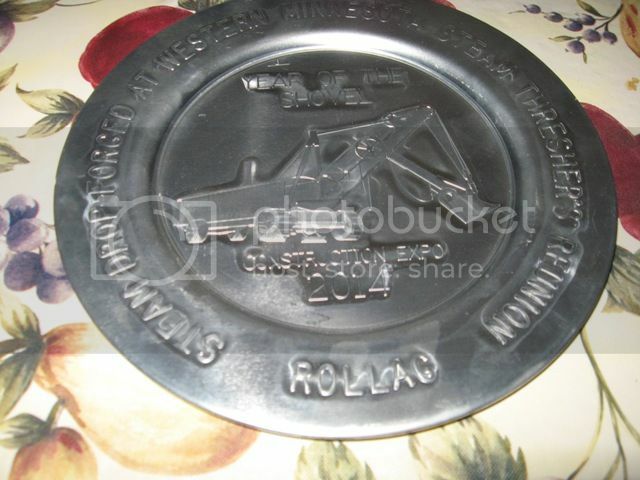 Below are pictures of the plate. The pictures don't do justice to the plate, the detail in the plate can not be seen in the pictures. In the pictures the plate appear a bit egg shaped. I had to hold the camera at an angle to that the glare from the flash wouldn't wash out the image. Different background, slightly different light. One last try. 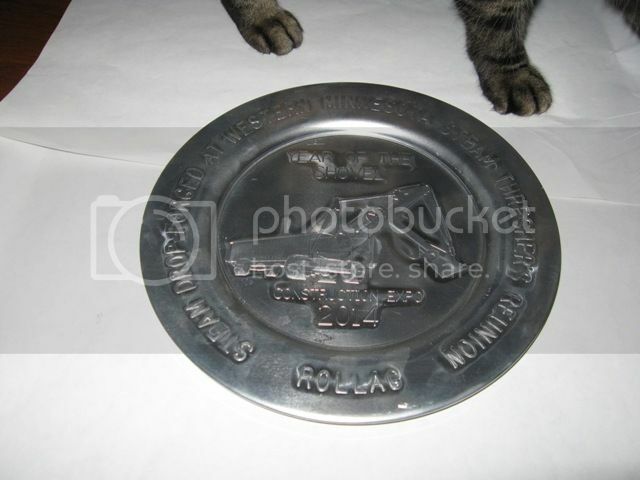 This time the plate got a 'cat scan'. I like it! Looking forward to finger printing one! Must be really a special year if it is a sovereign plate! Construction crew should be proud!